Great location, warm welcome by host, super clean rooms and lovely well maintained property. A real gem and worth its great reputation. Will certainly visit again. The property is good value for money, we had issues with a heater it was seen to straight away. Somethings are dated and need upgrading but for the outdoors / experience it is great. Our kids loved the pitch n putt, the kangaroos and birds are a delight. Mansfield is a 15 minute drive away. Pity with the lake being dried up in lots of places. Where can I find hotels in Thornton that are near tourist attractions? Planning to spend several nights in High Country and want to stay near central Thornton? 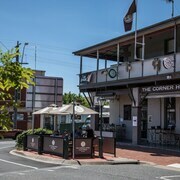 Within easy driving distance of central Thornton there are 2 Expedia-listed hotel options you can choose from. There are not many hotels within an easy walk from the center of Thornton. 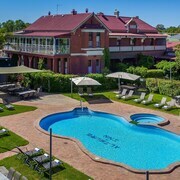 The Rubicon Hotel Motel is a good option as it is just 3 kilometres (2 miles) away. 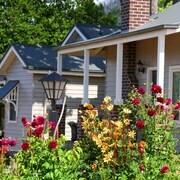 The Marysville Garden Cottages can be found 30 kilometres (17 miles) from downtown Thornton. 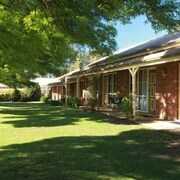 Another alternative is the Burnt Creek Cottages Mansfield, which is located 25 kilometres (16 miles) away. 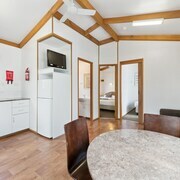 Another possibility is to make a booking at the Bonnie Doon Caravan Park or the Mansfield Country Resort. After you have spent some time in Thornton, ensure you have enough time to investigate High Country's other scenic and cultural delights. High Country boasts mountains and snowfields. 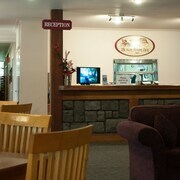 Commonly visited High Country visitor draws include history museums. In this part of Australia travelers can partake in snowboarding, skiing and cross-country skiing. 35 kilometres (21 miles) away from Thornton you will find Mansfield, where you can visit Mansfield Golf Club and Mansfield Botanic Park. 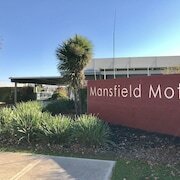 The Mansfield Motel and Mansfield Valley Motor Inn are a few of the hotel options in Mansfield. 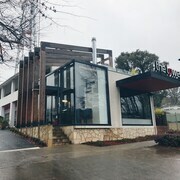 60 kilometres (36 miles) to the east of Thornton, you'll also find Mount Buller, home to the Mt Buller Chalet Hotel & Suites and Duck Inn Mt Buller. The Mt. Buller Ski Slopes and Village Center are just some of the more popular attractions to explore when visiting Mount Buller. Before you leave High Country, ensure you catch some local sport. 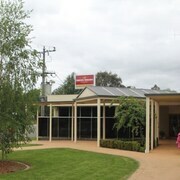 Visit Melbourne Cricket Ground to the southwest of Thornton. Sleep close to the action at the Apartments @ Docklands or the Crown Towers. Tullamarine Airport is situated 95 kilometres (60 miles) away from Thornton. Should you choose to stay nearby, you can easily book a room at the PARKROYAL Melbourne Airport or Holiday Inn Melbourne Airport. What are the most popular Thornton hotels? Are there hotels in other cities near Thornton? What other types of accommodations are available in Thornton? Explore Thornton with Expedia.ca’s Travel Guides to find the best flights, cars, holiday packages and more!